Usually, scars heal well. When scars are aesthetically unacceptable, the scars may need to be revised. Scars can be unacceptable for a variety of reasons. Unacceptable scars can result from wound breakdown, infection, reactions to suture material, and even normal healing. Scars can be highly visible, wide, persistently red, thick, raised, or distortion of underlying muscles. During normal healing, scars can also migrate and contract to form tight, constrictive bands. These bands may cause tightness and decrease the range of motion of surrounding structures. When enough force is applied to the skin, the skin breaks. This skin break results in a scar. There are many types of scars that can occur. Not all scars become keloids. A keloid is excessive scarring. By definition, a keloid overgrows the boundaries of the normal scar. Under the microscope, a keloid looks like a head of cauliflower. Further magnification shows the wound edges piled high like a tidal wave of collagen stands. A keloid can feel like a "speed bump" over a normal scar. Typically, a keloid is raised and red. In contrast to keloids, a normal scar does not outgrow the natural borders of the wound. A hypertrophic scar is in between a normal scar and a keloid. Hypertrophic scars can be thick and red. However, hypertrophic scars do not overgrow the natural borders of the wound. If your scars bother you, you should consult a plastic surgeon. Plastic surgeons specialize in optimizing scars. You may be a candidate for scar revision. Scar treatment should be delayed until the scar is completely healed. Most surgical scar revisions are performed 4 to 6 months after the scar has completely healed. If your plastic surgeon operates too early, your scar may not have had significant time enough to heal naturally. Usually, there is no urgency for surgical scar revision. Typically, the longer you can wait for surgical scar revision, the better your final results. Before scar revision surgery is contemplated, you and your plastic surgeon may want to try noninvasive procedures. Initially, conservative treatment may be the best way to treat your unacceptable scar. If your scar is thick and red, you may be a good candidate for steroid injection directly into the scar. Steroid injections into the scar decrease your body's inflammatory response. Within a scar, steroids reduce your body's ability to make more scar tissue. The steroid injection procedure is performed in the office. The steroid injection procedure takes approximately 10 to 15 minutes. You may need several treatments for optimal results. Usually, no anesthetic is required. Steroid scar injection treatments may need to be administered every four to six weeks. It should be stressed that these steroid scar injections are localized injections. These types of steroid injections will not cause systemic accumulation of fat, nor muscle mass, nor weight gain. There are a variety of lasers that can help remodel and resurface your unacceptable scar. These scar-reducing lasers include the V-Beam, Er:YAG, ND:YAG, Fraxel, and CO2 lasers. Some of these lasers specialize in eliminating the red color in the scar. While other lasers, remove the scar tissue. By reducing scar tissue, the scar is flattened. Laser scar revision is performed in the office. The procedure may take 30 to 60 minutes. A local anesthetic is sometimes used. You may need several laser treatments to achieve your desired results. Laser treatments are performed six weeks apart. Please discuss with your plastic surgeon which laser is best for your type of scars. Micro-needling is also an option for scar treatment. During micro-needling, small needles are injected directly into the scar tissue. Micro-needling stimulates your body to break down and remodel scar tissue. Micro-needling may require several treatments. This form of scar treatment is usually performed in the office and takes 30 to 60 minutes to complete. A topical anesthetic is sometimes applied. Micro-needling may need to be repeated every four to six weeks. 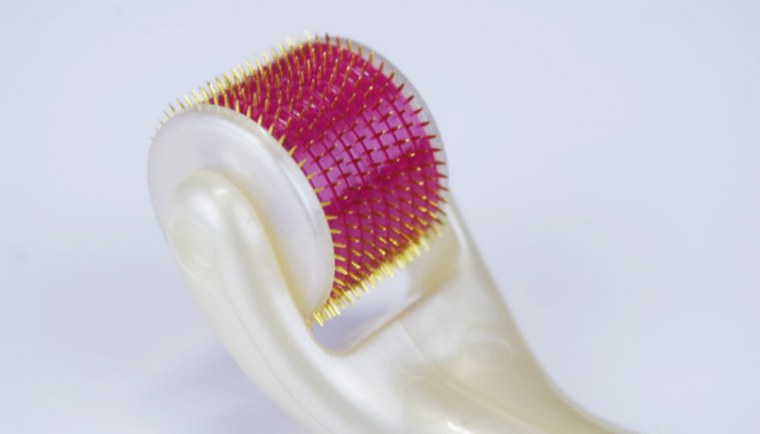 There is another device similar to micro-needling called the Derma Roller. The Derma Roller is a small, handheld rolling pin with small needles. The Derma Roller can be applied to the scar to accelerate scar maturation. Derma Rollers should only be used with your plastic surgeon's consent. Many plastic surgeons sell the Derma Roller from their office. You can use the Derma Roller at home. No anesthetic is needed. The Derma Roller can be used twice a day. Derma Roller therapy may be beneficial for four to six months. If these conservative modalities do not significantly improve the appearance of your scar, surgery may be necessary. Usually, surgical scar revision can be performed in the office. Often, after an anesthetic is applied, the offending scar can be excised directly with a scalpel. The wound edges are undermined to minimize tension. The wound is closed meticulously in multiple layers with tiny sutures. Depending on the length of the scar in the area revised, a drain may need to be inserted. The tension in the scar needs to be spread to minimize subsequent scarring. To decrease scar tension, many plastic surgeons perform a W-plasty within the scar. With a W-plasty technique, the offending scar is excised. Along the wound edges, tiny W's are made. The W's are then brought together and inter-digitated. The resulting scar looks like a zigzag. This zigzag redirects the tension of the scar. The scar forces are spread, yielding an optimal cosmetic scar with time. If you are planning on undergoing additional plastic surgery on other body parts, sometimes scar revision can be conducted at the same time. To achieve optimal scar revisions results, the scar needs to be protected from the sun. New scars are like baby skin. I would suggest using sunblock with an SPF of 50 or higher. To obtain the best scar results, I would recommend applying silicone gel and silicone gel sheeting to the scar. Silicone has long been known to enhance scars positively. The plastic surgery literature has shown that silicone application to a scar minimizes evaporative losses and allows oxygen to reach tissues. By creating an ideal scar-healing environment, silicone prevents excessive collagen creation. Also, silicone reduces the redness in the wound and leads to a softer, flatter scar. Compression can also help to flatten the scar. 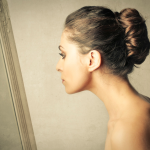 Scar management is an important part of your plastic surgery recovery. Whether your scars are old or new, if your scars bother you, consult a board certified plastic surgeon to see if you're a candidate for scar revision. Dr. J. Timothy Katzen is certified by the American Board of Plastic Surgery. 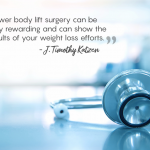 Dr. Katzen specializes in reconstructive plastic surgery after massive weight loss. He has written many articles and given lectures around the world about how to perform plastic surgery on patients who have undergone massive weight loss. Dr. Katzen has plastic surgery offices in two different states and two different countries. Specifically, he has offices in Beverly Hills (California), Las Vegas (Nevada), and Dubai (United Arab Emirates). 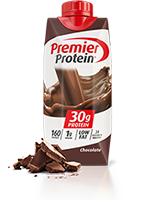 Read more articles from Dr. Katzen! Does Your Weight Cause Varicose Veins?